Devices which provide two forms of energy in one have obvious benefits for both the consumer and the enviroment, but their initial expense can be intimidating. 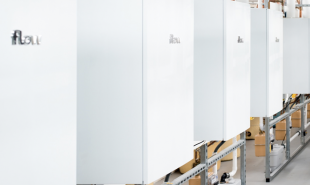 It is not surprising, then, that Flow Energy — which has developed a mass market CHP boiler — has introduced appealing payment deals in order to encourage the public to adopt their energy saving products. Flow Energy’s CHP boiler generates energy as a byproduct of heating the consumer’s home and could earn households up to GBP 500 per year via the UK governments’s FIT scheme — which rewards citizens for the production of green energy. The company’s Flow Freedom deal was launched earlier this year in collaboration with insurance company Aviva. The deal enables large households that spend approximately GBP 2,000 per year on gas and electricity to effectively purchase the eco-friendly boiler for the price of installation. Customers take out a loan with Flow’s finance partner Zopa for the GBP 4500 cost of the boiler and pay it back via monthly loan repayments of GBP 75. Simultaneously, Flow Energy guarantee a fixed reduction of GBP 80 per month to the household’s energy bills, meaning the boiler effectively pays for itself. In return, Flow Energy reap the rewards for the FITs that the boiler earns for the first five years, after which profits are split 50-50 between company and consumer. Consumers must also agree to switch energy provider to Flow for a minimum of five years, but they can expect the device to cut their carbon emissions by approximately 20 percent. Flow Energy project that they will install their boilers into one million homes by 2018. We have seen other devices, such as the Nerdalize server/heater, which combine two forms of utility for homeowners: are there other potential combos which could help consumers save energy and money?